The ideal borrowing solution would include low interest rates over the length of the loan period. Unfortunately many people are excluded from the lowest interest rate loans and credit cards due to poor credit records. Undertaking research can provide results when it comes to borrowing solutions that won’t break the bank. With lenders placing stringent restrictions on loans and credit card applications it can seem impossible to find credit at low or even reasonable rates. Borrowers with excellent credit records can still find reasonable credit rates while those with less than perfect credit histories can struggle. The ideal solution would be to stop applying for credit until a credit record has been repaired but for some this is not always possible when trying to make ends meet. Trying to find borrowing solutions that won’t break the bank will mean looking at other credit options. There are some available on the credit marketplace that can be a good deal if used correctly. Credit unions are an excellent borrowing solution with low interest rates. Credit unions are owned and controlled by the members and profit sharing is usually a part of the agreement. Credit unions can offer very good interest rates on loans and now also offer good rates of interest on savings. Members can usually borrow after saving for a period, usually around 13 weeks with better interest than found through high street lenders. Credit unions are undergoing a huge rise in popularity in contrast to the diminishing popularity of banks. Overdrafts can be an excellent borrowing solution to help make ends meet throughout the year. Even if a borrower has a poor credit record their bank may still provide an overdraft. A bank may provide this facility if the customer has a salary going into their account and interest rates can be reasonable. Some banks will offer set overdrafts that will remain as long as the customer has an account with the bank. Be aware of fees and penalties if an overdraft is exceeded, these can very high and can soon mount up. There are credit card companies that will provide credit for customers with poor credit records. These credit cards will come with higher interest rates but they can be useful. Using this type of credit card can help to repair a credit reference as long as the customer does not abuse the facility. Although these credit cards have high interest they also come with interest free periods. This means the customer can spend and clear the balance within a month and not receive interest charges. Again, beware of late and missed penalty fees, these will be expensive and can be marked down on a credit report. Many employers will provide loans to their employees. Some businesses will give low interest loans although some will simply ask that the loan be repaid within a set period of time without interest. Employers are aware that traditional lenders are tightening up and are aware of the difficulties this can cause employees. Employers who have made cuts to employee incentives such as bonuses may also be open to providing a loan. This can be a great low interest borrowing solution but long term loans may mean the loan must be repaid if an employee leaves the company. For long term loans the payday loan companies and pawnbrokers are not a good option. But these companies can well match or even beat the interest rates provided by some lenders when it comes to short term borrowing. 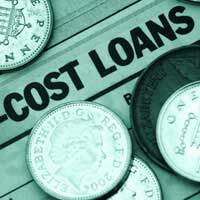 Loans from payday loan companies and pawnbrokers are increasing in popularity as their lending requirements are less stringent. But these loans should be considered as a short term option only. These loans should also be repaid on the agreed date; going over this date can mean high interest and late penalty fees. It’s only right to want the lowest borrowing options available. There are alternatives to the high interest lenders and these borrowing solutions are suitable even for borrowers with poor credit records.